We recently asked S-coolers who had ace'd their GCSE or A-level results what advice they had for other students to help them achieve the same success. Here is a selection of tips from our top students. Make revision cards as you go along and when it comes to revising, just re writing notes is useless. Make revision posters, laminate them, and stick them in the shower the bath the kitchen everywhere. When writing notes, split the page into two and write short phrases and trigger words, even if you take class notes and re write them at home. Colour code quotes, dates, names, theories - all in different colours. Keep that colour consistent. Finally, don’t revise in the same place. If you start to get bored, you’ll associate it with that place. Change every day-even if just the room! Don't start revising months and months before the GCSEs. If you've done the flashcards and posters, the heavy revision only needs to start 2 or 3 weeks before. Eat healthy, it does help. Sleep plenty. Do not talk to people before the exam. They will fill your head with clutter and you WILL panic. Try meditating or take up a sport. It's a great stress outlet. I got 11 As and A*s at GCSE, and one of the best tips I have to achieve high grades is using Post-it notes. This technique is particularly helpful for spelling and languages. On one side of the post-it note, write a list of questions or words to translate, and on the back write the answers. Stick these all around your house (on the TV, on the fridge, on the back of the bathroom door) and whenever you want to use the TV or fridge or whatever, answer the questions or translate the words first! This allows you to repeat the same questions over and over again which helps you to remember them. There is no point in worrying because you always know more than you realise if you have put in the effort to revise. The best way to achieve good results is to try and do long term revision, by preparing revision aids during the course, revising a few weeks before exams, covering all general areas of the subject, and cramming for a few hours per subject the day/night before the exam with more difficult topics. Particularly with languages, vocabulary and case studies it is helpful to highlight or colour-code key points and information. This helps to build a mental image/version of the textbook or page and you will be able to remember the facts if you know where you would find them. Then get a parent or friend to test you by recalling as much information as you can from studying the page as a whole. It is much easier to remember lots of little things, such as facts and specific details, than whole chunks of text. Be selective of what you learn and refresh your knowledge regularly. Start revising early- it never hurts to get a head-start! It means that you can space out the time you do revision, so you don't end up going through a huge mountain at the end. Remember that while your GCSEs are important- they're not everything! Try and get the work-life balance sorted. I know that can be tricky- but a happy and healthy mind and body will make revision so much easier! And of course; don't worry. If you don't get something- don't put off revising it. Go and ask your teachers for help if you need it- because that is what they are there for! 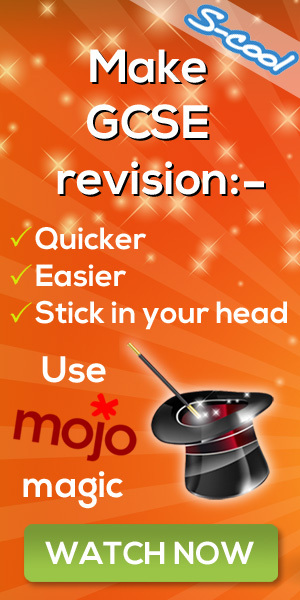 You don't have to stick to the usual boring flashcards and mind maps when revising. I often use free paint swatches from DIY shops to make quick summary notes on studies. Also making your own revision guide throughout the course in your own style for example a comic strip or what I do is I make them in a scrapbooking style so when it comes to revising for the final exam you have everything you need in a way you understand that isn't the usual boring textbook. One of the biggest recommendations I recommend is to do as many GCSE past papers as you can. Practising past papers will help you get familiar with the exam format, question style, time pressure and overall improve your ability to retrieve information quicker. Congratulations to Katie from Woking in Surrey who won a £25 Amazon card!